Ionic Gold Detection System, With Sound Results-Optical-Vibrating. 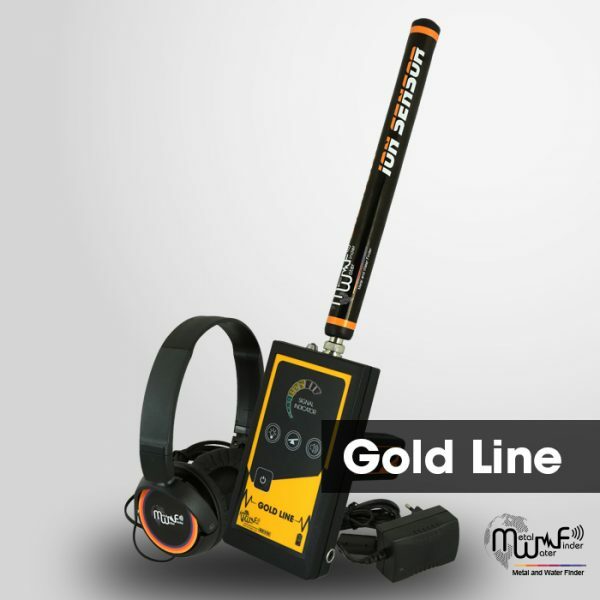 Gold Line ” is one of our advanced gold detectors, is the result of many trials and lengthy studies, which lasted for more than three years, Gold Line” is working on a long range Ionian search system, to detect and search for Ionian field of gold underground, the device gives the user reliable sound results of target direction, and that through increasing acoustic levels and LEDs indicators whenever get close to target location. Gold Line” It features in the speed of response to the underlying targets, over other devices that operate in the same system, because it has a great ability in the electronic focus and sensing target location, and guidance the user to the target centre at less effort and time. Digital electronic detection device, a specialist to detects and search for gold buried in the ground. New and sophisticated scientific innovation in the world of ionic detection devices specialized in gold detection. LEDs indicator of search and signal, and consists of nine levels. LEDs interactive Indicator, interacts upward whenever get close to point centre of gold. Sound interactive Indicator, interacts upward whenever get close to point centre of gold. Vibration system. Optional, so the user can run vibration alarm to point centre of gold. Laser track feature, locate a point of target in the night. Processing the Signal Received level of ionic radiation to detect the gold underground. Through sound, LEDs indicators and vibration.